Total branding process (brand audit, brand positioning study, brand architecture study, brand elasticity study, identity change proposal and brand platform, communication proposal). 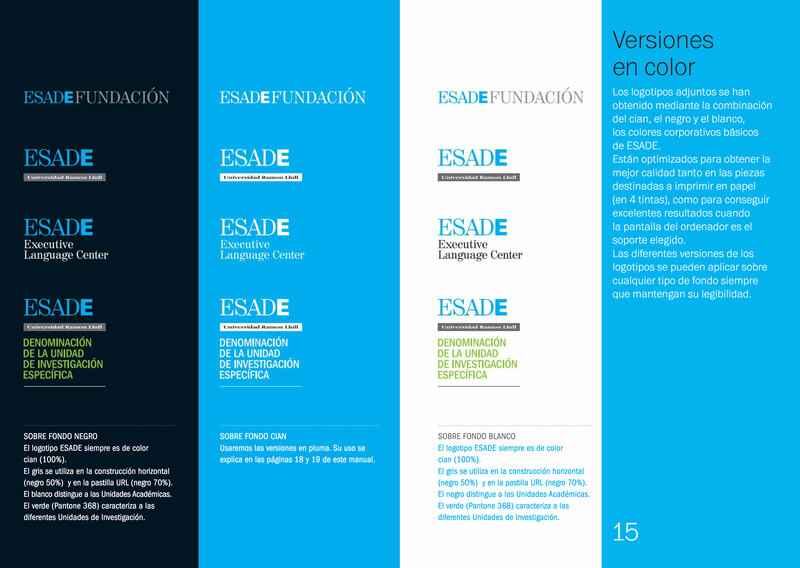 A positioning that is based on its theoretical weakness (the university) Positioning: The only private higher education center in Spain with two areas (University and Business School) independent but synergistic and coherent in its approach and values and characterized by its character open and plural. 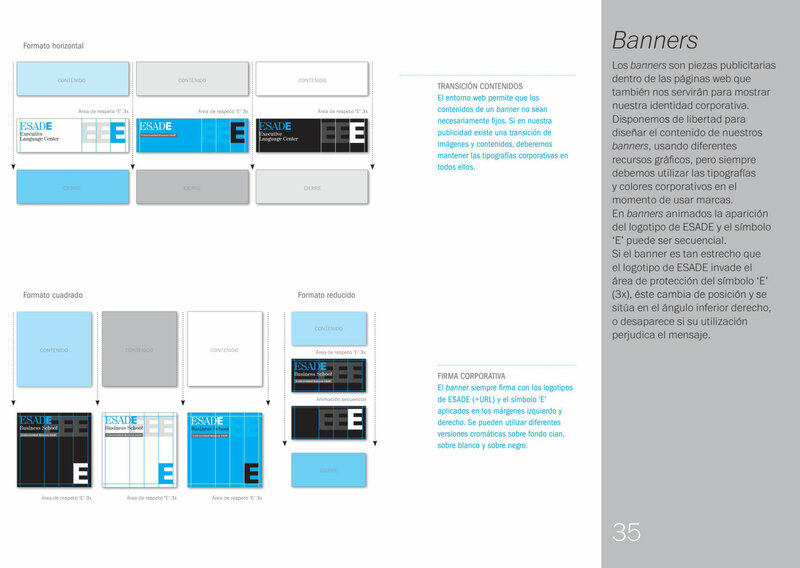 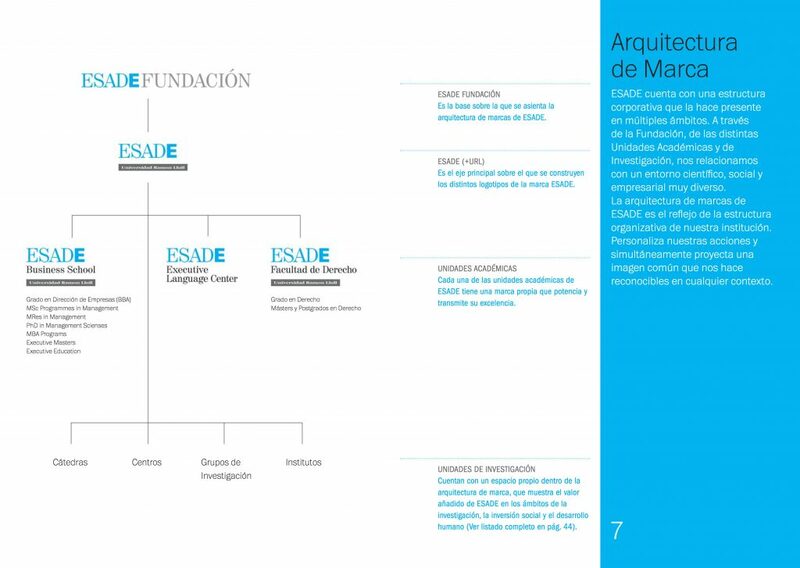 With an architecture of brands that clearly separates the two realities Esade (university and Business School) to give them the maximum possible independence. 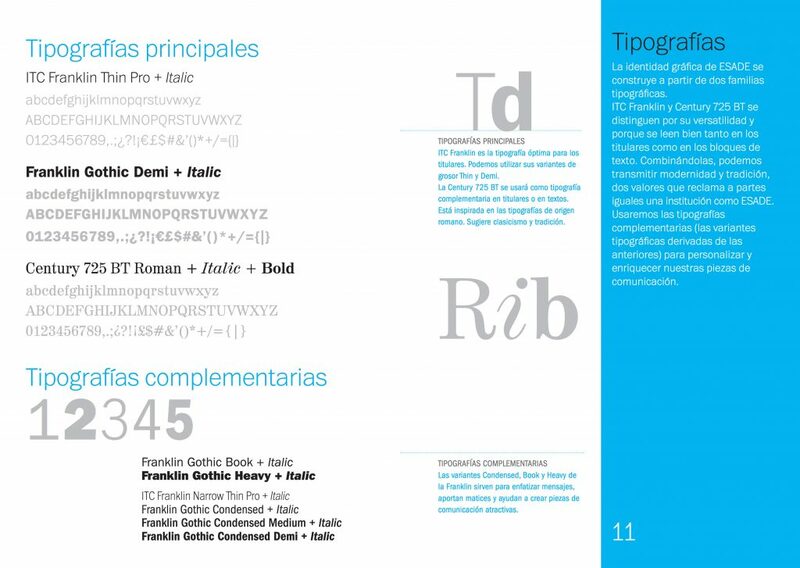 A change of identity that reinforces the institutional idea: the symbol is not necessary.